Do you like pizza? If so, I want to make a deal with you. First off, think of your favorite type of pizza. Like, picture the ideal, perfect pie – the pizza to end all pizzas. Imagine the type of pizza that would singularly define the whole reason you love pizza to begin with. (If you are one of those strange folks who doesn’t love pizza, well, just work with me on this one. It’s called imagination; whip yours out for a few minutes.) Imagine the toppings. Imagine the crust – like, is it doughy or crispy? Imagine the type of sauce, and the types of cheese. Get a really solid image of that pizza; the pizza that you would say is the very reason you love pizza at all. Now let's say I put a price on that pizza. Let’s make it weirdly expensive. Like, let’s say that pizza costs $60, and the only way you could ever get that perfect, ideal pie is if you lay down 60 bucks. Let’s say your $60 bucks can either buy you a whole pie of that perfect, ideal pizza, or else it could only buy you one slice. So one slice costs $60 and the whole pie costs $60. Now let's add to this weird imagination game. Let’s say that, for whatever reason, social media is blowing up with people who paid $60 for only one slice of perfect pizza, even though they could have bought the whole pie for the exact same price. So many people are taking this weird deal that it’s become strangely popular. The numbers of Instagram-followers of overpriced-slice-buyers are through the roof. Even though these people can buy the whole pie at the same price, for whatever reason the most-admired people out there end up being one-overpriced-slice-buyers. Imagine that buying only one slice becomes popular for no other reason than that it's what everyone keeps hearing about. Like, just because so many people have been chattering p a storm about the overpriced single-slice deal, everyone else ends up starts only buying one slice. A trend for trend’s sake. Now, the irony of this analogy is that it is meant to illustrated a phenomenon in a field that is known for shunning excessive pizza. That whole pie is competitive bodybuilding, and the overpriced, single-slice is it’s bastardized beauty pageant-esque lesser cousin, “men’s physique." The pretty boys have it: a typical line-up in a drug-tested event has men's physique competitors who often look equivalent to contest-winning drug-tested bodybuilders. Men’s physique competitions are (at the time of this editorial) still a new field of competition. For those who are regularly engaged with bodybuilding, it would seem like these physique competitions have been around forever because the images and reporting on these contests are front and center in the bodybuilding and fitness media, especially the social media. 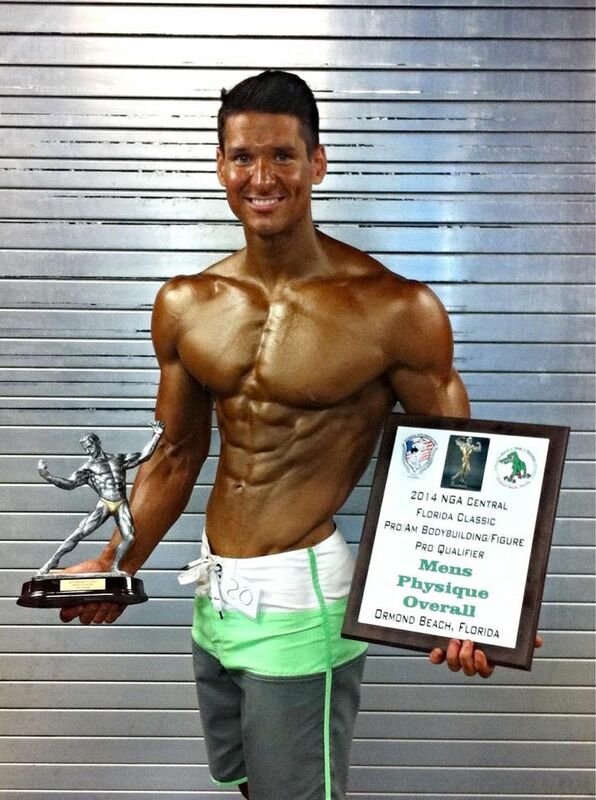 But in spite of it’s seemingly ubiquitous presence, men’s physique pageants are very, very new. These pageants emerged in a dubious fashion. Competitive bodybuilding was losing market share for decades. Because of a long list of foolishly repeated efforts, the sport was literally killing off its own interest. Within both the over-glorified, untested (i.e. “steroid-friendly") field, as well as in the more cluttered, drug-tested field, competitions and policies often did more to discourage interest among competitors then they did engender participation. It would take a longer piece to enumerate all the flaws that leagues and promoters engage which cause the ranks in the sport to perpetually falter, but the simplest explanation is that those entrusted with the health and well-being of the competitive bodybuilding community progressively killed off that community, and turned a blind eye to their own flaws. And they still do, recreating the same foolish, community-deteriorating procedures and policies which thin the numbers of competitive bodybuilders to near-extinct levels. Contests that once attracted competitors in the 70s and 80s of participants now often struggle to break 10 to 12 competitors – or fewer. This decline in participatory numbers happened swiftly. We’re talking within less than a decade. This isn't some slow death; this is outright manslaughter. People at the wheel driving foolishly and mowing down the competitive field of bodybuilders without taking responsibility for their crap driving. This is the way men’s physique was born. It was an idea that was meant to address a series of questions, the main of which being: “How can the leagues regain their profit margins?” How could they attract more people into the show at less cost? The answer: a beauty pageant for men to which they attached a fabricated mythos. Muscular profit margin; men's physique was designed as a reaction to help mismanaged bodybuilding competitions regain revenue margins. The way the leagues will tell the origin story of men’s physique is that “guys wanted a less intense form of competition,” and were put off by the “tiny posing trunks.” So, the leagues played “hero” to this great desire that they claim as latently all around us (even though we never really heard of it before). They created a class where men can wear long shorts and not have to do any real posing. Yup. Just stand there for a few minutes and “look good.” Less work. Less time. Less of everything, really. And they called it “men’s physique”. Now, we know this origin story is rather false. The motivation was, as already mentioned, about rebuilding the numbers of men entering the sport by making entry “way easier” than it was before. This new beauty pageant meant guys didn't have to work as hard, prep as thoroughly, or manage all the intricate and complex skills of posing. There was less to “do” to be a men’s physique competitor. And thus, it attracted a whole new batch of young men; dudes who wanted to “win” something for how “aesthetic” they looked, but the previous venue for this sort of thing – amateur bodybuilding – was too convoluted and challenging. It wasn't that they didn't like bodybuilding – arguably, most men's physique competitors originally marveled at the sport. It was that the leagues had made the process so convoluted and obscured that this easier mode of entry had obvious appeal. It was a bait-and-switch, really. Young men fascinated with bodybuilding handed something labeled "short cut" into reward and acclaim. It's obvious why it had instant appeal. But this is where the pizza analogy begins. Because men’s physique competitors not only had to “do less” to be ready for a contest, they also got to “do less” within the contest itself. Yet they paid the same amount of money. That’s right. Grok that for a second: you do less, get to participate less, but meanwhile pay the same as the guys who get more time in the competition, and get more involved. Men’s physique competitors are literally paying the same amount for less participation. They are paying the same price for only one slice of the pie as they would have paid for the entire pie as a whole. And yet, they keep paying. This is where the power of social media takes over. You drop a myth into a well-girded social media fad and that myth will soon take the shape and form of a hard, cold truth in the eyes viewers. And the myth that men’s physique is “hard” and “equivalent to bodybuilding” is much touted out there in the Facebook posts and Instagram feeds. Men’s physique is described as “more appropriate” for a beginner bodybuilder. And so what happens? Competitors who would, ironically, be better suited for amateur bodybuilding think their only choice is men’s physique. And just like that – cha-ching! – the league gets that entry fee with less work on their part, and less participation for the athlete. Men’s physique competitors don't get to pose, which means they get less chance to sway judges and actually “intercompete” in the course of the contest. They stand. They wait. Maybe they shift a little. Then they wait. They turn around on command, but still stand and wait. Do less, pay more; men's physique competitors are often bodybuilders who get to do less with their physique than what they are capable. I.e., just stand there and smile. Compare that to bodybuilders – the whole pie – and you see the huge disparity. Often, judging shifts and changes dramatically based on the skills of posing – skills that exhibit athleticism and effort, not just a “cool stance for a physique.” There is an actual skill game happening in real time, as opposed to just showing up with a package you hope they like. Why a dude would want to compete in a contest where he isn’t, you know… actually competing, is baffling. It’s like paying the price of a full pizza but only getting one slice. Now, many men’s physique competitors defend the process by saying that they did, indeed, do a ton of work. And you know what? They are right. None of this is meant to suggest that these dudes aren’t working hard. But working hard is a given for any competitor. The difference being here cited is that that they are required to accomplish is far, far less than bodybuilding. This is particularly important to note on the amateur level, especially in drug-tested events. The size and shape of amateur bodybuilders – especially those in drug-tested contests – is roughly the same size and shape as the men’s physique competitors. Sure, overall bodybuilders did more work and refined their physiques more, but at the amateur level the competitors are often indistinguishable. For the most part, the only thing that would make a men’s physique competitor different from a bodybuilder is those long, leg-swallowing shorts they wear. In fact, it is very, very common at the amateur levels to see physique competitors who come in with physiques that are more bodybuilding than the bodybuilders themselves! We’re talking leaner, thicker, more symmetrical – more “body-built” overall. And yet, into the men’s physique class these newcomers enter. Why? Because that is what they were told, over and over, by buddies who were (let’s be realistic) no less naive than the competitor himself. The result is man’s physique is a standard trainwreck. The pageant is still new, but with the competitors coming in looking like bodybuilders, the standards of what is supposed to “win” is vastly unclear. Meanwhile, the men’s physique competitors continue to sell themselves short, doing less than what they are capable of, and showcasing themselves poorly for what they have. It’s a pizza purchase that leaves everyone with a lousy taste in their mouth afterwards. And what does this do to bodybuilding, the origin sport from which men’s physique was extracted? Obviously, the already dwindling numbers of competitors is now twice as deteriorated. It is now a common frustration to see bodybuilders arrive at competition and see that the dude who would be their best-suited competition is not competing in bodybuilding at all. . . . [Physique competitors], most of whom would be viable bodybuilders, are getting a lesser experience for their time, effort and money. And yet, somehow the social media continues to pump up the myth that this pageant is “the equivalent” of the sport of bodybuilding. Rather than have an intriguing and exciting competition in bodybuilding, these dudes are instead settling for less participation and arbitrary placement in men’s physique. All while bodybuilders watch from the sidelines smacking their foreheads in disbelief. “Why the heck didn’t those dudes just enter bodybuilding, and really do some damage?” Unfortunately, it’s only a set of irrational answers to their questions. The decline will be shredded; every time a men's physique competitor wins and shows off his prizes, another blow is aimed at the sport it originates from. So, the leagues have fragmented a field of competitors. They took would-be bodybuilders, and rather than innovate a way to keep them engaged with the sport, they invented a lesser, bastardized beauty pageant and sold a bill of goods to get men to buy in. And that messaging has gotten so constant that now it is often considered the norm. Men’s physique continues to grow, and yet continues to give amateurs a lesser experience for their time, money and effort. Mull that over: these dudes, most of whom would be viable bodybuilders, are getting a lesser experience for their time, effort and money. And yet, somehow the social media continues to pump up the myth that this pageant is “the equivalent” of the sport of competitive bodybuilding. There is a word for this sort of thing. That word is: fuckery. There is just a whole lot of fuckery afoot. If only we could break this spell that new competitors are under. Young athletes are romanced and fascinated by the mythos of muscle-building, and grow intrigued with the competitive arena. Legends of the community and camaraderie excite lifters and then the idea to compete seems something to focus on. It is a positive mind state, and anything in this world that grants us with a positive mind state is something that has a mountain of good within it. But right now, these would be competitors are shunned away from the sport that attracted them. The mythos of bodybuilding is what held appeal, but as they draw close with interest they are quickly warned away, and instead handed the mediocre imposter, men’s physique. It’s not even like getting only one piece for the price of a whole pie; it’s more like just getting the pizza box and nothing else – just the wrapper to the idea, and not the idea itself. And this is most prevalent where it is least appropriate: at the amateur level. As was mentioned the amateur level is where bodybuilding is far more accessible, and the physiques of amateur bodybuilders are often a one-to-one match for what men’s physique claims is it’s look. So, basically, these amateurs are ready and designed for bodybuilding, and the leagues – on yet more of that foolishness – diminish their efforts by urging them into the less-satisfying men’s physique class. Drop the shorts, already! These bodybuilders got to get back to bodybuilding. So who can break this cycle? It’s a cycle that will deteriorate the sport even more than it already has, reducing quality and creating more confusion of standards. So it really should be halted. But who has that power? If competitors – or even fans – started urging beginners to try out bodybuilding, we may actually get more interest in the sport because the quality and excitement would return to a sport that has real-time competition. No more standing and waiting for a result; competitors should demand that they get to participate as much as possible. Which is why this all opened with that silly pizza analogy. You would always want to get as much as you can for your payment – as much as you can for your time, effort and money. So this same logic of opportunity should be brought to any beginner looking into competing. It should be laid bare: at the amateur level, a new competitor will gain more from their participation – and participated way more – by entering bodybuilding than they ever would entering men’s physique. We have a long way to go to shake off the weird trend that has people paying full price and putting in deep effort for only a fraction of the experience in return. But it starts with efforts like this editorial; it starts with laying out the factors side by side, rather than just listening to the hype-trends online around us. We should never settle for only a slice of the action for our efforts. We should demand the full pie. And then go out for pizza afterwards. Guest contributor Christian Matyi, a/k/a "XN," has been studying hew culture of strength and physique sports for over two decades. He is a coach and competitor, and this extensive history of involvement allowed him to found The Next Level leadership program for strength and bodybuilding athletes. He is currently still coaching part-time, as well as being the host and producer of The Big Inside podcast.